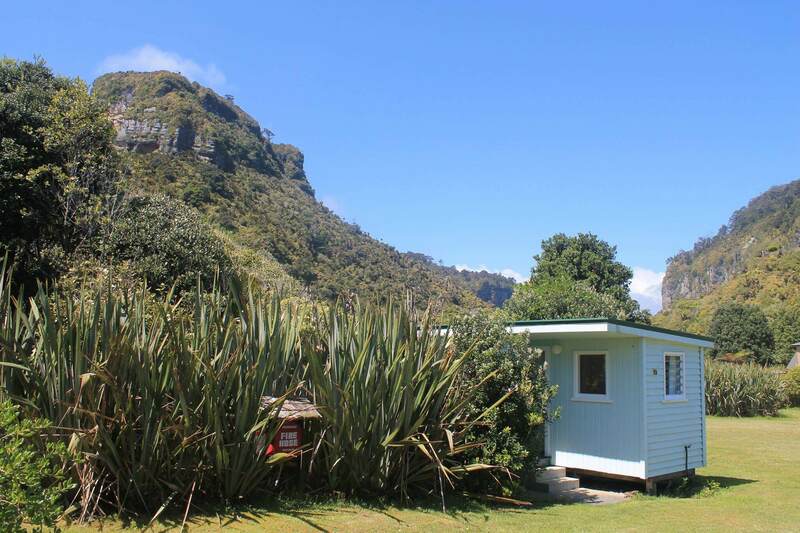 Ten ‘Quirky’ cabins are dotted around the Punakaiki Beach Camp. Having spent their previous life as road workers huts down near the glaciers during the 1930’s the huts have now been restored as cosy cabins. From family sized cabins to couples cabins these cabins are for those who want more comfort than camping. 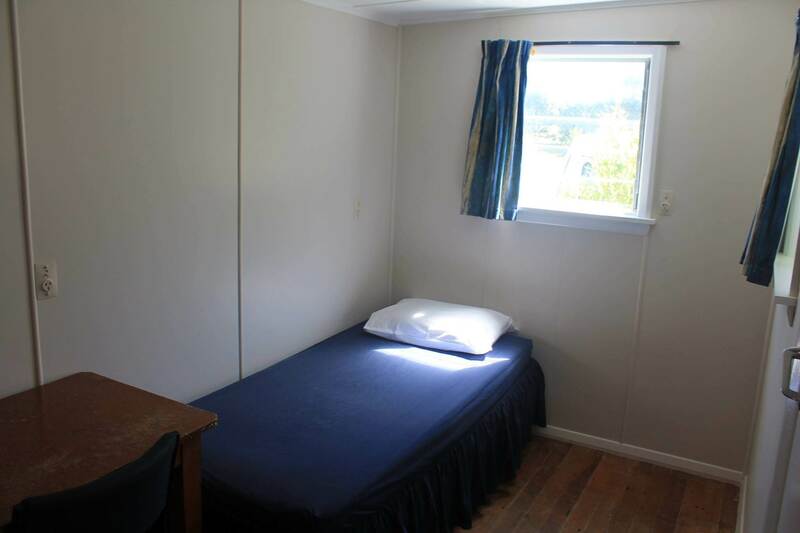 All cabins come with a bottom sheet, pillow and pillow case (Except kitchen cabin where bed is made). Linen is available for hire at $5 per person and fold out beds for included with ‘extra adult’ price. Please leave a comment on booking form if you would like these options. NO DOGS at the camp between 1 October and 1 May, then strict guidelines outside these times, definitely no dogs in cabins. Press ‘BOOK NOW’ button above to check prices and availability. 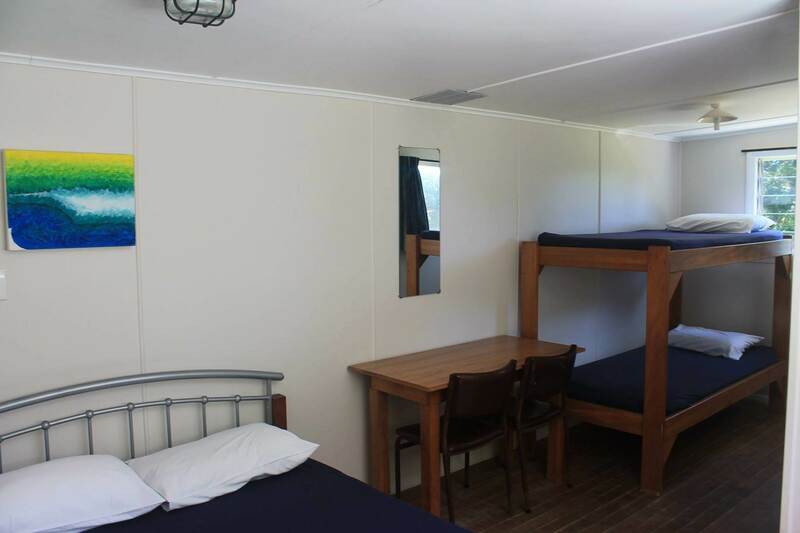 Great for families or larger groups our family cabins sleep up to 6 people with 2 bunks and a double bed. 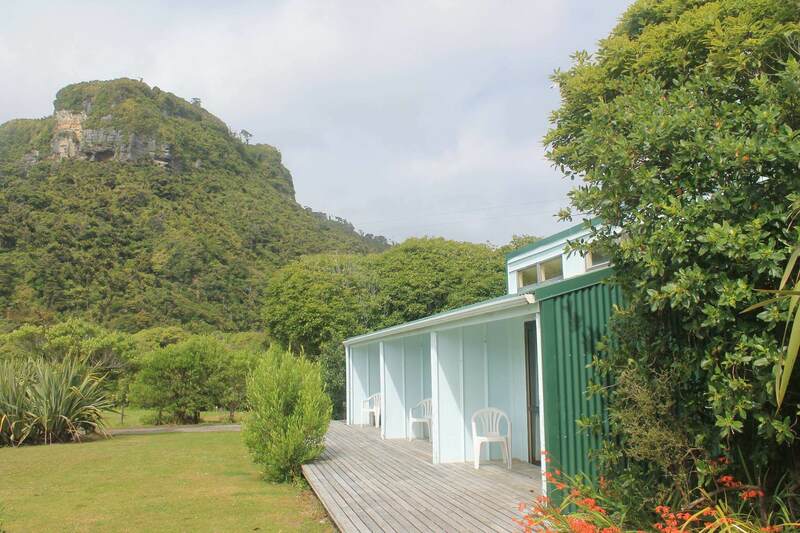 Opening up to deck area with views of the surrounding cliffs these cabins are perfect for enjoying the afternoon sun. The kids can also run round on their own grassed area. 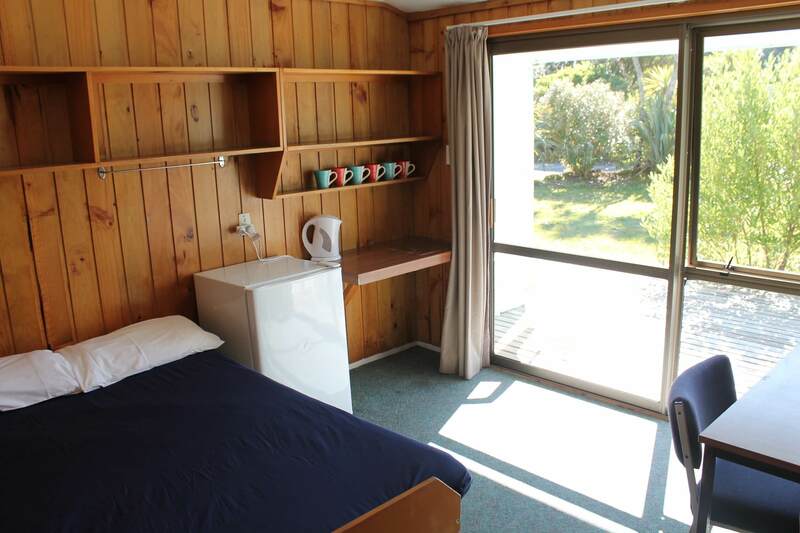 Family cabins include a fridge, table and chairs, jug and cups. Use of communal bathroom and kitchen facilities. 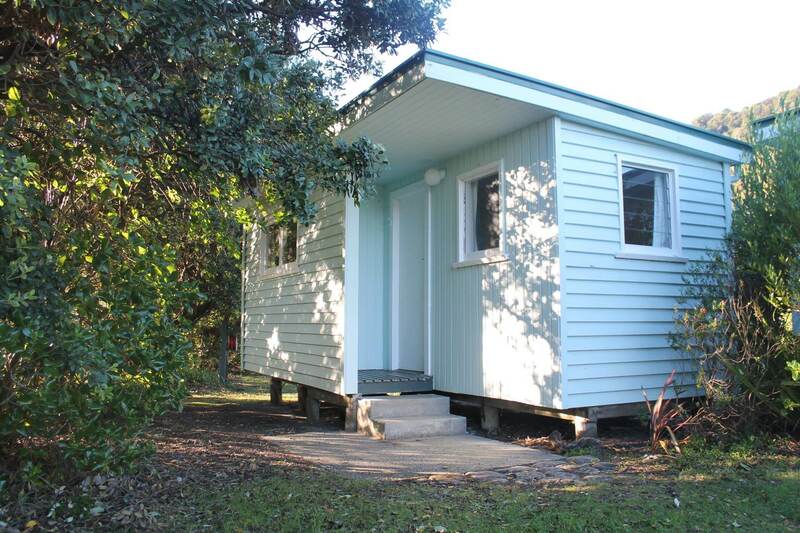 If you are looking for a quiet cruisy little cabin amongst the trees then one of our kitchen cabins might be for you. These cabins are great to relax, listen to the birds and just get away from everything. 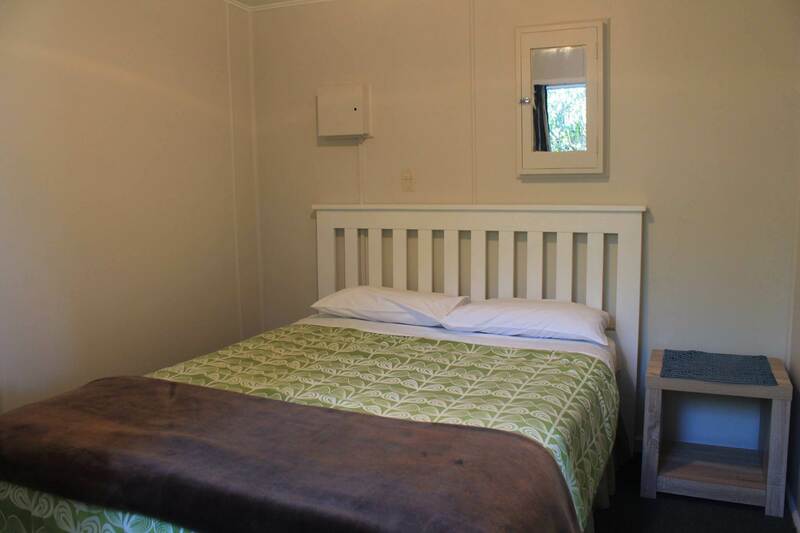 Our kitchen cabins have a double bed (including linen), a small kitchen, utensils, stove and grill. 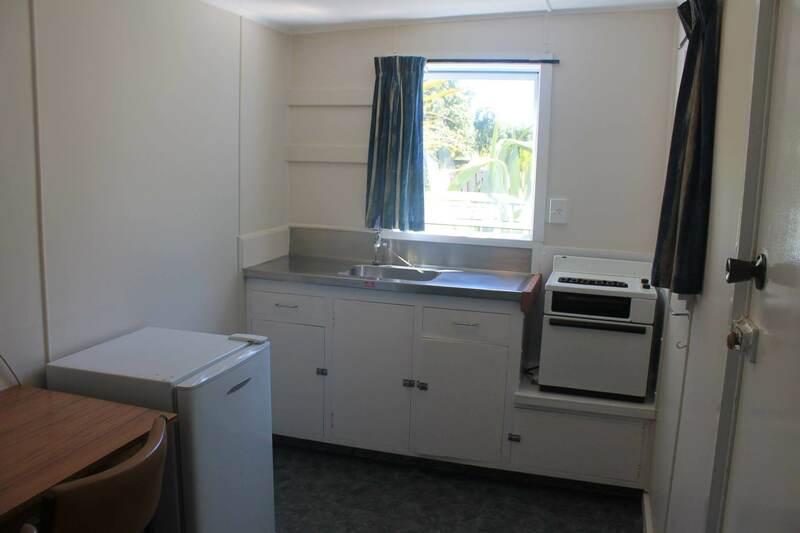 There is also a fridge, toaster, jug, table and chairs. Kitchen cabins include use of communal bathroom facilities. 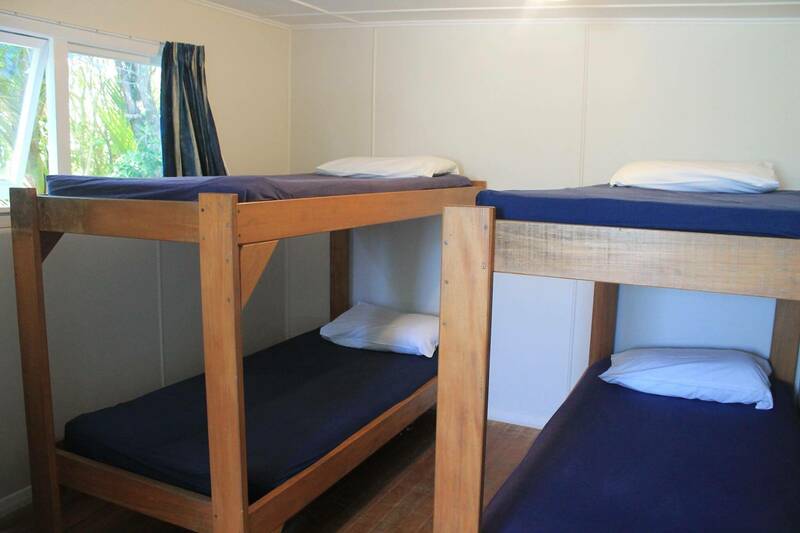 If you are travelling in a group of 3 or more then our standard cabins are a very affordable choice. 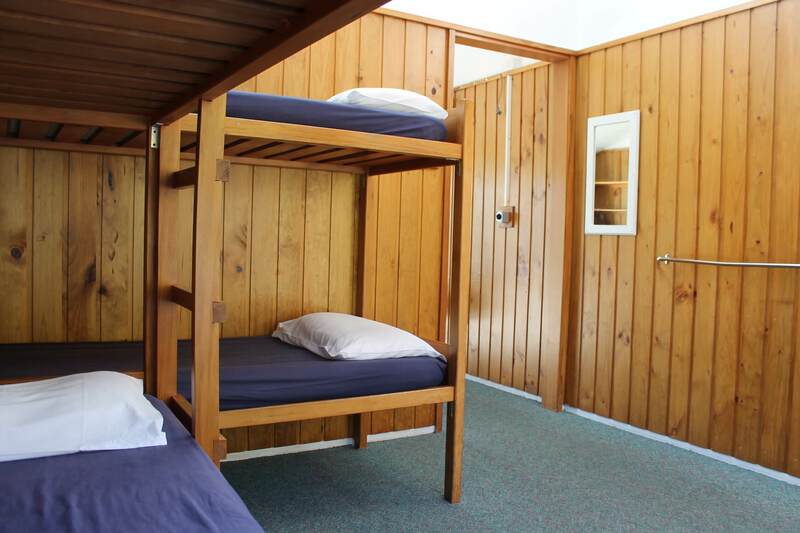 Our standard cabins have 3 sets of bunks and sleep 6 persons each. 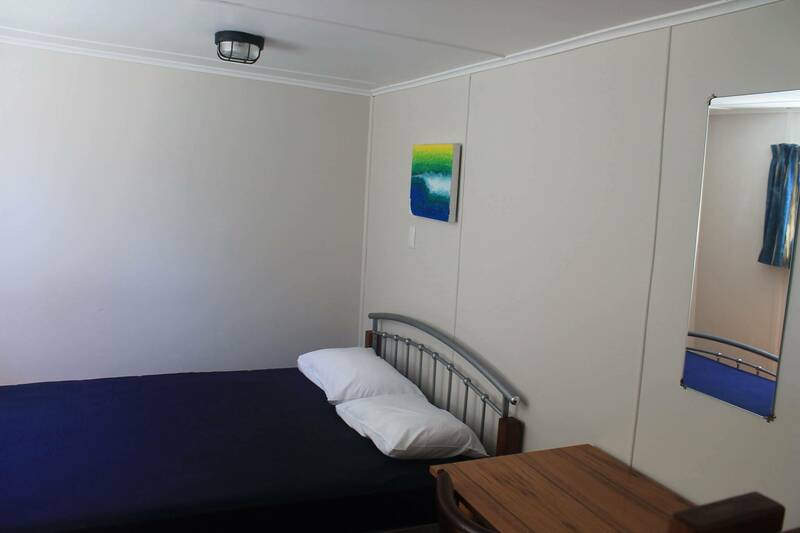 Standard cabins include use of communal facilities. Small family cabins are located near the beach and river access track. So after a morning down at the lagoon there is only a short walk to get the team back in time for lunch. 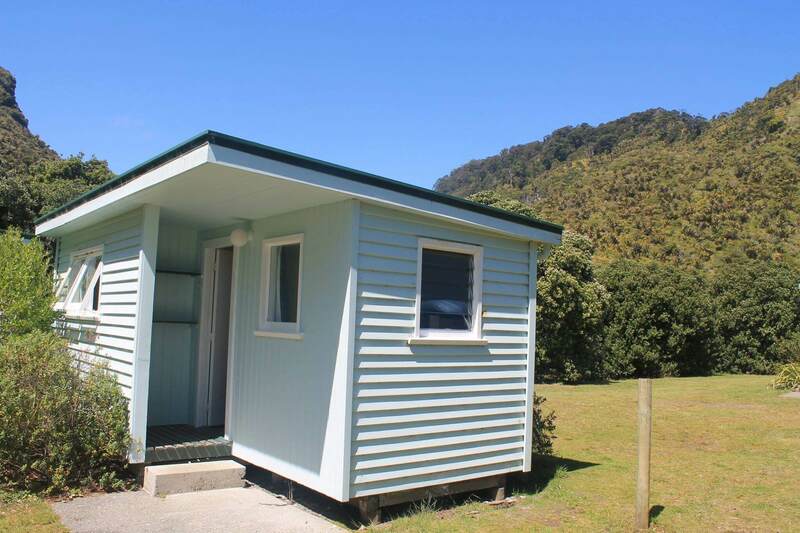 Small family cabins are also close to communal facilities.